To optimize your computer for gaming is not a difficult thing if you are a avid gamer. Getting a brand-new computer for your purposes has become a quite easier task – you even have options to have a self-assembled PC, according to your requirement and purposes. The case is somewhat different when we try to buy a computer for Gaming, which some of you would be addicted to. Even though you would have got a computer with a high-end specification, the feature list would become archaic in a time of months or years. So, the better thing to do is to optimize your existing PC for an awesome gaming experience. 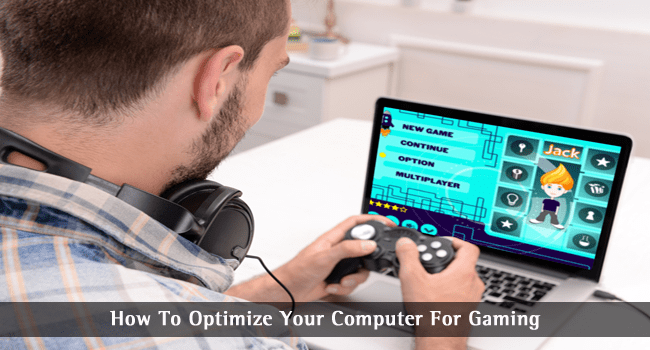 In this post, however, we have some worth trying and effective methods to optimize your computer for gaming. Of course, it is not possible to change the Processor or the board. Instead, we can make some changes in software and hardware sector, for a greater improvement in the end. Having the right, compatible and up-to-date hardware and resources is important when it comes to smooth gaming. For instance, if you are planning to play a newly-released game such as Far Cry, there is no point in having the PC of 1GB RAM and 1GHz Processor. So, we were saying, the basic changes are to be taken, with respect to the minimum requirements of the particular game. Apart from this, there are some hardware-based tips for extra productivity and enhanced gaming. For instance, it’s a good thing to have a SSD – Solid State Drive – in your PC, as to enhance stability and performance. Talking of SSD, it is supposed to give better booting time and easier content loading etc. Similarly, it is a good option to upgrade the RAM, which is also good for multi-tasking. If we are to advise, you can have 4GB or more, which is kind of basic need. To get an awesome gaming experience in your computer, you need to make sure that you have the dedicated kind of accessories with you. For instance, you can get a gaming keyboard and gaming mouse. While the gaming keyboard is having an ergonomic design and advanced controls, gaming mice are meant to give better handling along with better access to controls. Regardless the hardware level your PC has, getting these kinds of dedicated hardware is a superb way towards gaming optimization. It’s more of the gaming feel, you know. You won’t have any issues with the integrated graphics options of your computer if you are going to play simple sort of games. However, if you are into high-end games that have top-class 3D Rendering and graphics, it is necessary to get a graphics card. There are several factors to consider when you choose the graphics card, such as compatibility of the product and requirements of the game you want to play. Anyway, if you’re into high-end, you need one graphics card, that’s sure. Well, if you already have a graphics card in your PC, you can think of upgrading it. 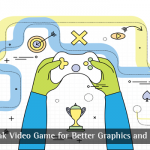 As you know, as newer games are released, the basic graphics requirements are growing high. So, always, it’s a good option to estimate performance and up-to-date behavior of your existing graphics card – and upgrade, if needed. Well, even when you have got the best hardware with you, there are some tips to be applied on the software side of it. First of all, you have to make sure that you are running the latest version of your graphics card driver. It has to be taken care of, because each firmware update comes with performance improvement and extra stability. Moreover, running an outdated firmware can negatively affect the performance too. By the way, if you are into over clocking of the hardware you have, you can try some tools too. Cleaning your computer is one of the prominent methods to optimize your computers for gaming, without spending much of monetary efforts. A smoothly-running Operating System and environment is important for every game. In a perspective like that, you should definitely try disabling the useless apps, processes and related stuff. In addition, it’s a good thing to do disk defragmentation, which is one of the best ways to get the best performance from your HDD. If you don’t think the default Disk Defragmentation tool of Windows is not enough, you can get an additional tool. So, we have seen some of the best and effective methods to optimize a computer for gaming purposes. Apart from these, there are some seemingly simple tips to use. We can have a look on those. These can be – and will be – very useful in most of the cases. First, you have to make sure that your PC is in the High-Performance mode while you are gaming. If you’re in basic or economy mode, the system resources will be limited. Another basic thing to do is to shut down resource-hungry and heavy apps that might be running in background. Also, you can have a look at the Startup Menu and see whether if it is having a resource-eating app in the list. In short, these are the basic methods of successive maintenance of PC, in a better manner. Well, what do you think about the tips to optimize your computer for gaming mentioned here? Do you have anything more to say? We are waiting for your comments. Thanks nice share. Now I am going to implement that and then I’ll play the game. I usually keep the whole ‘Programs’ folder in a separate partition. I think it works! And for the fragmenting Tuneup is the best, as for any software for that you have to do it regularly. You mentioned very essential tips to build a gaming pc at home. Great post! So many people play the games on PC and mobile. These are best methods for optimizing computer for gaming.